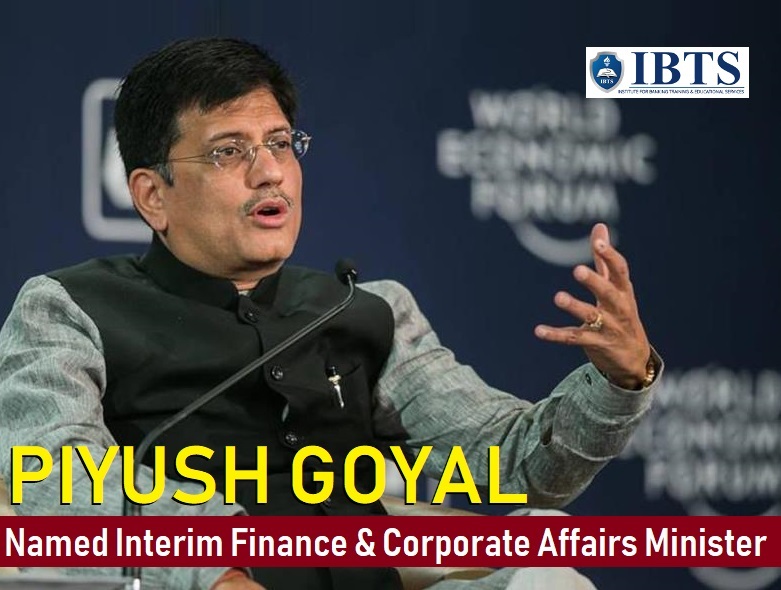 Piyush Goyal was appointed interim finance minister a week ahead of the February 1 interim budget presentation, with Arun Jaitley undergoing surgery in the US. Currently the minister for railways and coal, Goyal will also be interim minister for corporate affairs, the government said. Arun Jaitley will remain a minister without portfolio. “The President of India, as advised by the prime minister, hereby directed that during the period of indisposition of Arun Jaitley, minister; the portfolios of minister of finance and minister of corporate affairs held by him, be temporarily assigned to Shri Piyush Goyal, in addition to his existing portfolios,” Rashtrapati Bhavan said in a release. This is the second time Goyal has been assigned the finance ministry. He had held an interim charge when Jaitley underwent a kidney transplant in May 2018. The National girl child day is celebrated every year on 24th January as a national observance day for the girl child. The theme this year is 'Empowering Girls for a Brighter Tomorrow'. The Women and Child Development Ministry has organized an event in Delhi to observe the anniversary of 'Beti Bachao Beti Padhao' scheme. Women and Child Development Minister Maneka Gandhi will be the Chief Guest. The day promotes the girl’s position in society to make their living better among society people. National girl child day has been started as a national girl development mission by the Government of India. This mission raises awareness among people all over the country about the importance of girl’s promotion. Venezuelan President Nicolas Maduro announced that the country has cut off diplomatic relations with the United States, giving American diplomats 72 hours to leave the country. The United States has rejected Maduro's move to break diplomatic ties, saying it did not think he had the authority to cut ties and it would conduct relations with a government led by opposition leader Juan Guaido. Earlier that day, US President Donald Trump said that the United States had recognized Juan Guaido as the Venezuela's "interim president," a move that came after Maduro was inaugurated as president of the Latin American country earlier this month. The European Union has called for the immediate start of the political process in the South American nation. Venezuela has been in economic freefall for a number of years under Maduro's leadership. Hyperinflation and key shortages, including of food, has forced millions out of the country. The capital of Venezuela is Caracas and the currency is Venezuelan bolívar. Bihar has been ranked the top state in terms of GSDP (Gross State Domestic Product) growth in financial year 2017-18, according to a report by Crisil. The state has topped the list by clocking 11.3 percent GSDP growth in fiscal 2018. It was ranked at eighth spot in fiscal 2017 with 9.9 percent GSDP growth. The second spot has been secured by Andhra Pradesh, whose GSDP growth in FY18 jumped to 11.2 percent. Gujarat listed third with growth of 11.1 percent. “In fiscal 2018, Bihar, Andhra Pradesh, and Gujarat were top rankers in terms of GSDP growth among the 17 non-special states considered in our analysis,” the report said. The Union Cabinet approved the creation of a national bench of the Goods and Services Tax Appellate Tribunal (GSTAT). The GSTAT will be presided over by its president and will consist of one Technical Member (Centre) and one Technical Member (State). The bench will be located in New Delhi. The creation of GSTAT's national bench will cost one-time expenditure of Rs 92.50 lakh while the recurring expenditure will 6.86 crore per year, said Ravi Shankar Prasad, Union Minister of Law and Justice and Electronics and Information Technology. The GSTAT is a forum of the second appeal in GST laws and the first common forum of dispute resolution between the Centre and states. Being a common forum, GST Appellate Tribunal will ensure uniformity in redressal of disputes arising under GST, and thus in smooth implementation of GST across the country. The Centre is looking at allowing non-resident Indians to subscribe to municipal bonds issued by various urban local bodies, especially for ‘Swachh Bharat’ projects. “The Ministry of Housing and Urban Affairs is currently looking at letting a part of these bonds be issued for subscription by overseas Indians, specifically for Swachh Bharat activities,” according to Manoj Bharti, Additional Secretary, Ministry of External Affairs. Municipal bonds are debt obligations issued by municipal bodies and municipal corporates to fund day-to-day needs and to finance capital projects such as roads, bridges and schools. NRIs, at present, are not allowed to participate in these bonds. Agyey Kumar Azad joins Punjab National Bank as a new Executive Director. He was previously General Manager at Bank of India and was posted at Nairobi, Kenya, as Country Head. At present, PNB has two Executive Directors. The other existing Executive Director is LV Prabhakar. The Maharashtra government has partnered with private sector lender YES Bank, under its e-PDS State programme, to onboard fair price shops (FPS) as Business Correspondent Agents. “YES Bank will onboard close to 40 percent of all fair price shops in Maharashtra, spanning 12 districts such as Palghar, Thane, Pune, Kolhapur, Latur. As part of the initiative, the lender will engage fair price shops to provide banking services such as small-value cash deposits into any bank account, including domestic remittances and withdrawal from any bank account via Aadhaar-enabled payment system. Such shops will also be able to collect digital payments through Aadhaar-enabled payments for ration, and will also offer value-added services such as bill payments and mobile recharges. Noted Gujarati poet Sitanshu Yashashchandra has been awarded Saraswati Samman,2017, for his poetry collection in Gujarati named “Vakhar”. The award comprises of a citation and a plaque apart from award money of 15 lakh rupees. Yashashchandra, recipient of the Padmashri in 2006, is known for seamlessly blending history with poetry. He has explored politics of the times, the larger and more immediate human conditions in his award-winning work "Vakhar"
Besides the Saraswati Samman, the K.K.Birla foundation also gives away two other literary awards Vyas Samman and Bihari Puraskar besides G.D Birla Award for scientific research. A film on menstruation, set in rural India, titled "Period. End of Sentence" has earned a nomination in the Documentary Short Subject category for the 91st Academy Awards. Lance Naik Nazir Ahmad Wani, who laid down his life during an anti-terror operation at Shopian in Kashmir in November last year, will be conferred with the Ashoka Chakra, India's highest peacetime gallantry award. Wani, 38, hailed from Ashmuji in Kulgmam. He died on November 25 during a fierce gunfight. 15th Pravasi Bharatiya Diwas (PBD) culminated on 23 January 2019, with the valedictory address of President Ram Nath Kovind in Uttar Pradesh. The President also conferred the Pravasi Bharatiya Samman Awards to persons of Indian origin for excellence in various fields. The three-day long convention was organized in Varanasi, the cultural and spiritual capital of India. The theme of PBD Convention 2019 was "Role of Indian Diaspora in building New India". After the Convention, participants will visit Prayagraj for Kumbh Mela on 24th January 2019. They will then proceed to Delhi on 25th January and witness the Republic Day Parade at New Delhi on 26th January. The CBI has booked former ICICI Bank CEO and MD Chanda Kochhar, her husband Deepak Kochhar and Videocon group MD Venugopal Dhoot in connection with alleged cheating and irregularities in loans sanctioned by the bank to the group in 2012, officials said Thursday. Uttar Pradesh is celebrating its 69th foundation day today. To celebrate the occasion the main function was organized at Awadh Shilp Gram in Lucknow. The Indian Space Research Organisation (ISRO) will launch a students' satellite Kalamsat and an imaging satellite Microsat-R from the Satish Dhawan Space Centre in Sriharikota today. The national space agency's workhorse rocket, PSLV C44, carrying the satellites, is scheduled for liftoff at 11:27 pm. The Microsat-R satellite is meant for the Defence Research and Development Organisation (DRDO) purposes. Navy Chief Admiral Sunil Lanba today commissioned the new Naval Air Base ‘INS Kohassa’ at Diglipur in Andaman and Nicobar Islands. The new airbase, named ‘INS Kohassa’ at Diglipur, will be used to handle operations of helicopters and small aircraft like the Dornier. The airport at Diglipur will be utilized for both Defence and civil aircraft.